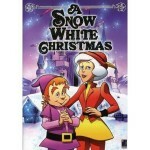 This is a wonderful story that continues the tale of Snow White through their daughter, who is also named Snow White. In this story, the young daughter embarks on her own magical adventure during Christmas. Unfortunately, the Wicked Queen returns to her dark castle and wreacks havoc on the children of the kingdom! This Christmas cartoon is sure to delight you and your family with beautiful songs and a heartwarming story of holiday cheer.